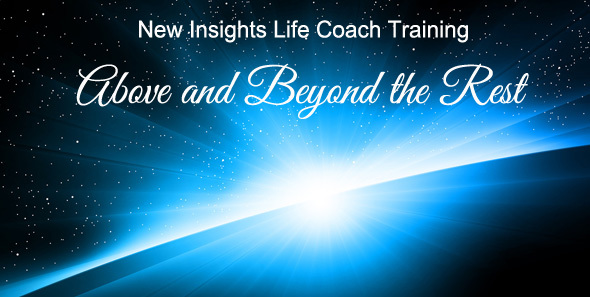 Welcome to New Insights Life Coach Training! that will help you navigate this site to find exactly what you are looking for. For best effect, we recommend that you click the Play button and then choose to view it in full screen on YouTube. 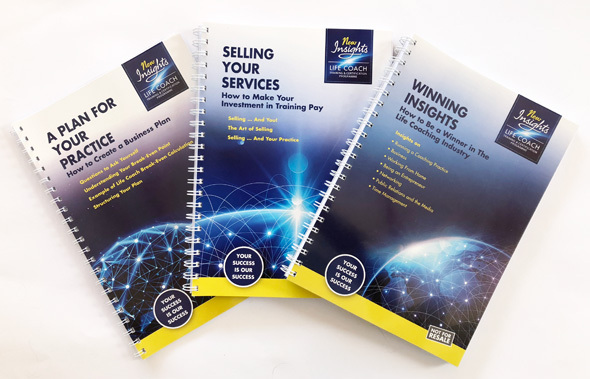 New Insights has operations in the UK (covering the UK, Europe and other international destinations) and in South Africa (covering the African continent). To switch to the New Insights Africa website please click here. 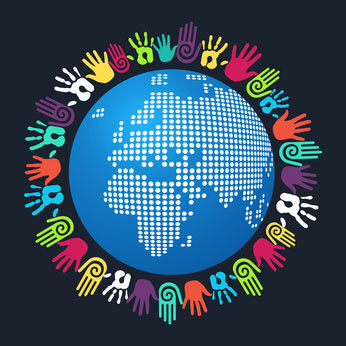 DO YOU HAVE A DESIRE TO MAKE A REAL AND POSITIVE DIFFERENCE IN THE WORLD? Then a career in life coaching may well suit you perfectly. This is an emerging profession and one that is progressive, exciting, and very rewarding. Life coaches specialise in using a wide range of simple yet powerful personal development tools and techniques to help people create the happy and fulfilling lives they dream of. If you are in any way interested in becoming a life coach or finding out more about life coaching, then welcome, this website is for you! We aim to help you get to know more about New Insights, our acclaimed life coach training and certification programme for home study and much more. At New Insights, we provide world class life coach training to people who want to become great life coaches ... pure and simple! We've been pursuing this passion successfully since 2003. 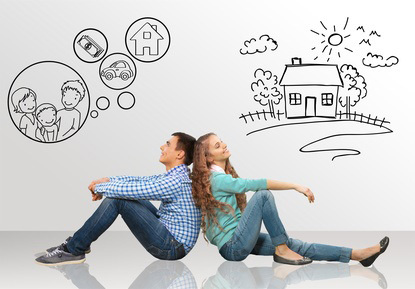 Our Life Coach Training and Certification Programme, delivered through home study, is specifically designed to be fully compatible with your lifestyle while being comprehensive, very effective and yet still affordable. Our training revolves around you, not us. You enrol whenever it suits you, then you train and practise in your own time, at your own pace, assured of caring and attentive help and support whenever you need it. We've worked hard to ensure that our training leaves nothing out. We go above and beyond the rest to ensure you become more than just another life coach. 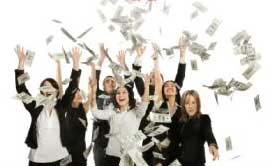 With New Insights, you can look forward to being a life coach with a genuine competitive advantage! At New Insights we like to say that we live, eat and breathe life coaching! Seriously though, our whole business revolves around training people to become quality life coaches ... coaches who will help us deliver on our mission to bring greater Freedom, Confidence and Growth to people from all walks of life. 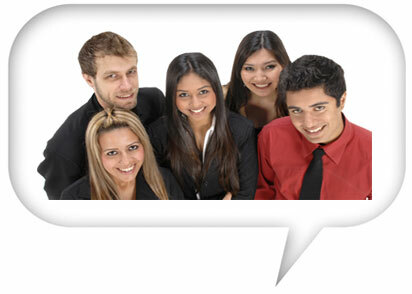 Life coach training is not an add-on service, or one of many types of training we offer. It is our sole business and one we are both passionate about and dedicated to! 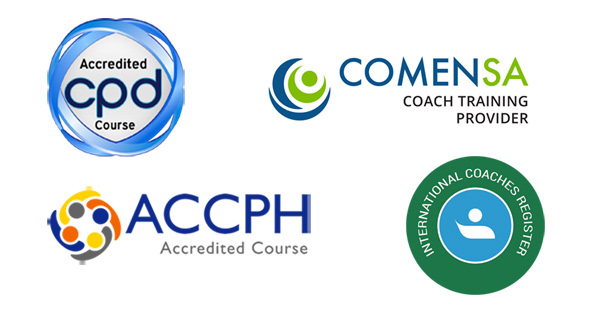 We designed he New Insights Life Coach Training and Certification Programme based on extensive research. It taught us that most people transition into life coaching from very busy careers or lives (such as as stay-at-home parents for example). They told us that convenience and flexibility of the training is paramount ... but that we dare not compromise on quality. Training needed to be comprehensive, rigorous, internationally credible, practical and well supported. That provided the blueprint for our unique home study certifcation Programme! We have the greatest respect for academia. But, let's face it, life coaching is all about working with down-to-earth people, helping them live to their strengths, achieve their goals and dreams and connect with their purposes in life. 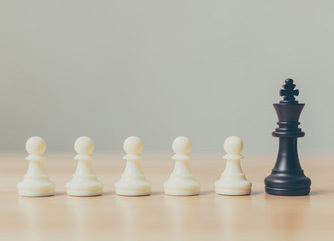 We recognised that for our life coach training to be truly effective, the theory had to be written in a non-academic way and had to be replete with examples, exercises, quotes and other real life insights. In addition, we needed to build in a substantial practice coaching element to create an effective and inspiring learning experience that blends theoretical study and practical work. Its perhaps telling that we choose to refer to those enrolled in our Programme as Trainee Life Coaches, not 'students' – a small but important example of what makes New Insights different from the rest! Some training institutes believe their job is done once they've imparted the theory and a bit of classroom practice. At New Insights we go well beyond that. Our life coach training programme includes access to the New Insights Life Coaching System. This transformational coaching system comprises 15 sessions that span everything from a session on life appraisal to an emotive session on life finding purpose. An extensive set of beautifully designed coaching and client notes is made available for practice coaching purposes and can, optionally, be licensed for professional use by certified coaches. 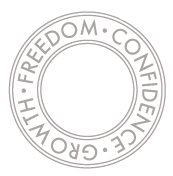 Our life coach training also includes exposure to free-form coaching using one of the many generic models that exist in the market, thus giving our trained coaches the flexibility to offer their clients a structured transformational coaching programme or needs based transactional coaching. 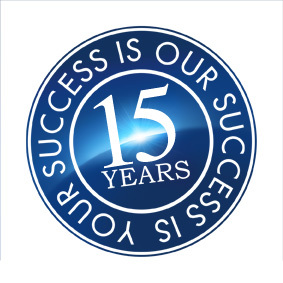 At New Insights we want nothing more than to see our trainees become successful certified life coaches. 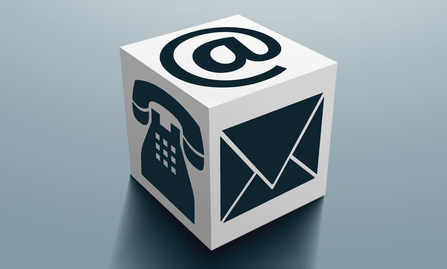 We make it our business to be on hand to answer questions and give advice whenever our trainees need it. extensive online Resources for both Trainees and Coaches. Providing quality life coach training is one thing. But to be a successful life coach you have to know how to plan, establish, market, sustain and expand your own life coaching practice. Our Programme goes beyond life coach training by including a wealth of material, drawn from many years of experience, to help you do just that. You'll find everything you need on this website. The menu will guide you. It appears as a blue vertical bar on the left of the page if you're viewing this site on a computer or tablet. It's split into topic headers (white text) each with one or more clickable links (light blue text) to relevant pages shown below the headers. If you prefer documents to read rather than browsing, we recommend you request our twin 30-page eReports that are written in easy Question and Answer format. Request the downloads by clicking here. 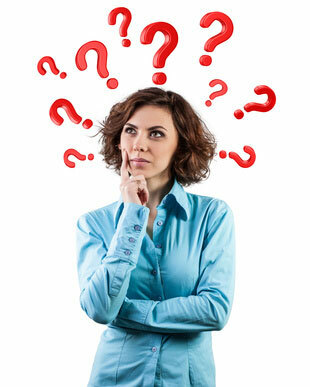 Find out more about what life coaching is and what life coaches do. Find out what it takes to become a life coach (and answers to other questions you are likely to have about becoming a life coach). 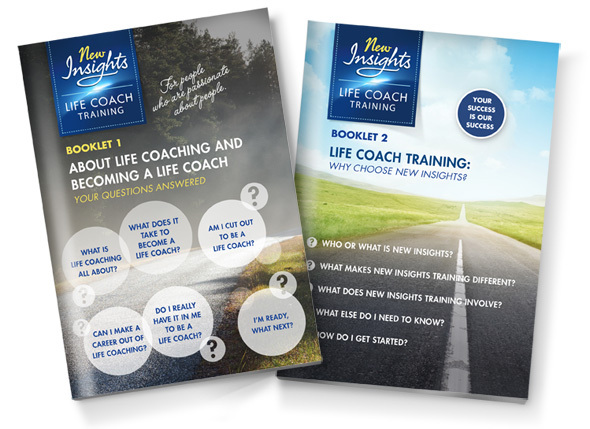 Find out more about New Insights UK, the company behind New Insights life coach training. 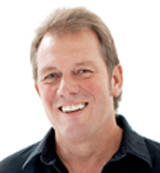 Read about Bill Burridge, the Managing Director of New Insights Life Coaching UK and New Insights Africa. Read about why becoming a New Insights certified life coach is one of the best home based business opportunities you could consider. 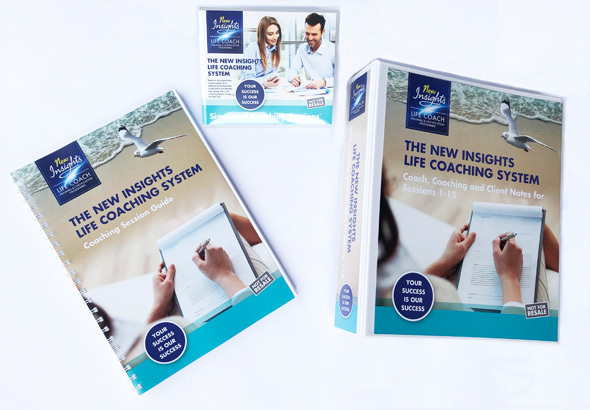 Find out more about the New Insights Life Coach Training and Certification Programme – for those who want life coach training without compromise but with convenience, affordability and flexibility. Read about our Introductory course, New Insights Life Coaching 101, perfect for those starting out, wanting to know more or needing help to understand if life coaching is a fit for them. Why not take a look at some of the great Testimonials we have received from trainee life coaches and certified life coaches over the years. Try out online Journalling with New Insights and get a free 52 week self guided journalling course.